Since I've been using the service for a while, and it seems to be relatively new to this community, I figured From Japan deserves a little tutorial~! Simply put, this is the cheapest Japanese deputy service currently known! They (will, as of Monday) charge a flat commission of 200 yen per item. Compared to, say, Noppin, with a minimum commission of 500 yen which continues to grow as items get more expensive, 200 yen is both the minimum and maximum per listing that FromJapan will charge. When purchasing from a store, this commission will only apply to the first 4 items-- This means no matter how many things you buy, and no matter how expensive, the commission won't be above 800 yen per shipment! It's currently not known how this will stack with same-seller listings on YJ, though. Hopefully someone will test this out for us once the commission begins. In addition to this commission, there's still the 5% service fee they've always had. As well as a 186 yen bank fee. However, it's still quite clear that they remain the cheapest even with these. Does this sound like a good enough reason? If you're interested, please feel free to read what I've put together~! Anyway, thanks for reading, if you have~ I hope this wasn't too ramble-y, or missing too many important points. Or too much text outside the cut? I'll gladly answer more questions about them if you feel something's missing! When the new commission rate's fully rolled out, I'll see if I can expand on that information a bit more, too. ... ;w;' I don't know what tags this needs, so sorry that I haven't given it any. I hope it's not too off-topic? UPDATE: This page needs a lot of edits. Shortly after posting, they've changed things such as grouping YJ payments together, only allowing a 24-hour window for YJ payments, and finally capping the YJ commission at 800 yen per seller as well. I'll try to add these in with better detail when I have time. Please wait for me to put up all threads before posting! Thanks so much! I will cross this out when its ready. Threads are now up~!! You can bid now~! My favourite thing about Autumn is the leaves, I absolutely love the colours. 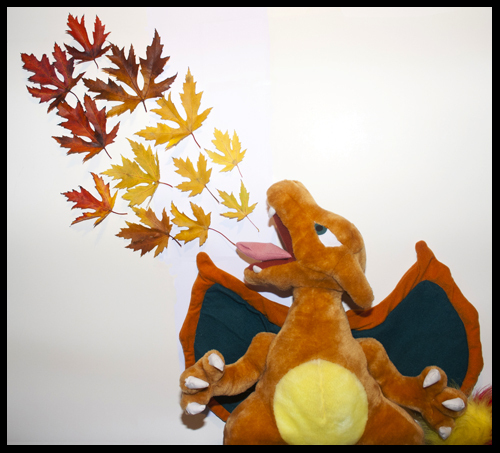 So I wanted to do something with leaves! First I collected some really spikey yellow ones, and thought of Jolteon. 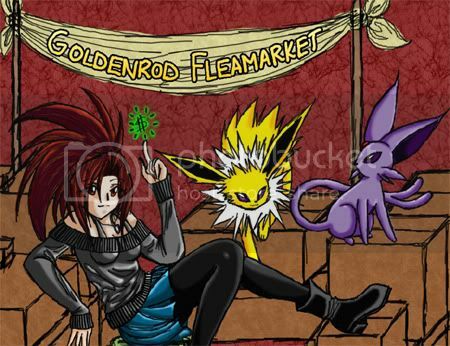 But I don't own an official Jolteon, so it wouldn't have been in the spirit of the comm so much. Then I found some beautiful red ones. They made me think - I could have some fun with Charizard! By the way, there are now threads for all the items in The Grrrand Grrrowly GA - coins, bottlecaps, cards and more. I am very sorry for not finishing them yesterday - my home router died - I couldn't make 100+ threads on my tiny phone. Heatmor and friends MPC GA Shipping payment! This has finally arrived! It has been sorted and already packed. First of all though, I would like to apologise how long this GA has taken, I am genuinely so embarrassed by that! I had some problems with my middle-man then then there were some people who didn't see the payment post and/or non payers. Too keep my explanations short I will chuck them under a cut! 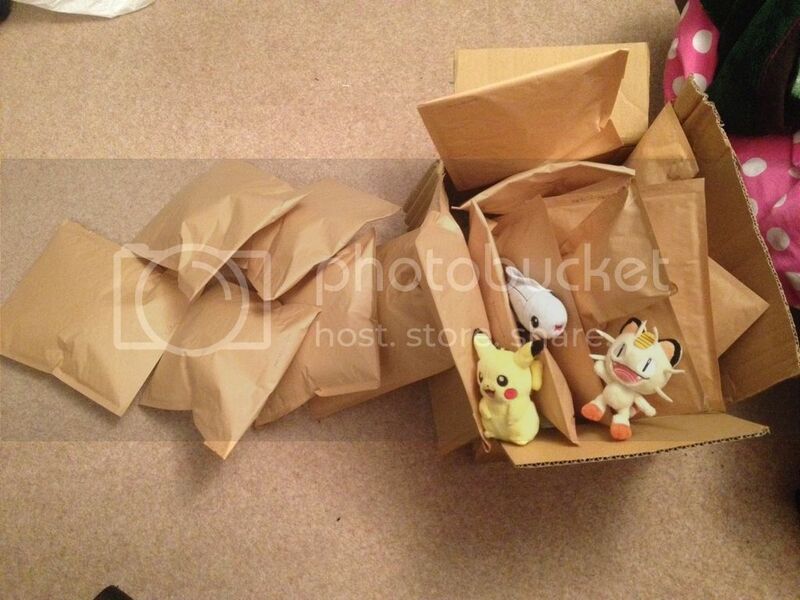 All the parcels ready to be shipped with my MPCs I won, hanging out! Anyway! If you want to just send shipping, all the details are here! Please remember to include your username and leave me a comment here when you have paid so I can mark you off! The spreadsheet didn't say which country you are in, so by default, your shipping is too the USA. If you live in a different country, PLEASE let me know so I can edit the shipping cost. If you ARE in the USA then this is the correct postage for you. 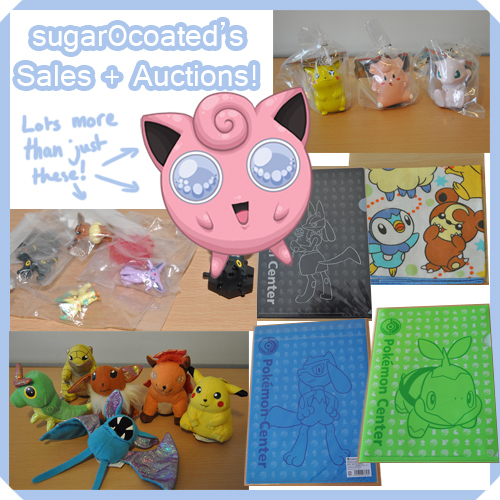 Just a quick reminder before I go to sleep to say that my auctions are ending in about fourteen hours from now! None of the rare shopper clearfiles have been bid on, or the singing keychains and everything is still pretty low, including a Next Destinies TCG folder with Eeveelution artwork, some Eeveelution and other Pokemon 2000 Collector Pins and other items. 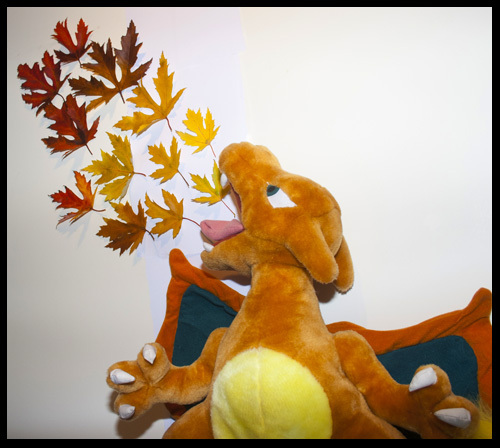 No bids on the Applause Eevee plushie either! All the pins, clearfiles,the bandana etc. qualify for cheaper shipping too ^_^ Click below or here to go there! I'm too tired to type out my collection update tonight/this morning (it's THAT late). So here's a preview that I should hopefully finish tomorrow =) There's even some pokemon that aren't eevees O_O.Omg. Hello everyone! I hope that everyone had a great Thanksgiving, I know I did! X3 I have a question regarding the I <3 Eevee heychain plush. I heard that they were rereleasing the first wave is that true? Oh,and everyones contest entries are amazing! Thank you and have a great day or night! Hello there! Today I bring you some custom charm slots! -No trades at the moment sorry. You can combine anything from my sales post with a charm for the same shipping. :3 $5 for a charm and stuff from sales post kinda thing, if that makes sense. :) Canada post makes it a small packet, as I said, so you can fit a lot in a small packet and keep it at the same price pretty much. Clearing out part of my collection! Hi guys :) An old member risen from the dead to offer you some nice items. I thought I should exclusively offer some of the rare stuff I have in my stored away collection to the community before I toss them onto ebay. Not sure how much most of these items are worth, so auction time! But I do have a few sales for you. 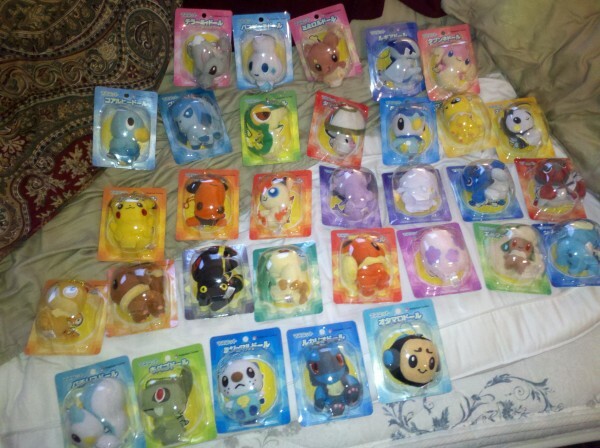 I am offering up my Dratini Bell Plush, Onemuri Flaaffy, Cynthia Trading Card League Poster, Jolteon Pokedoll, 151 Badges, and My Misty/Cerulean Badge collection, and more. Hello everyone! Long time, no see!! Hope your all doing well over the holidays! Anyways, just a quick want! 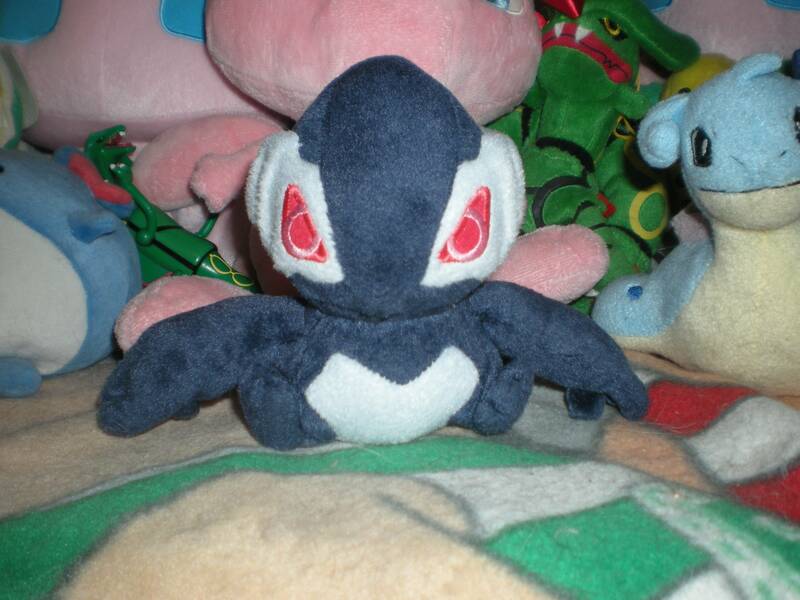 I'm looking to buy a Suicune plush for a friend's daughter for Christmas!! She's always coming over to my apartment and asks if she can have mine. I'm kinda greedy so.... I will just buy her one! I'm looking for under $20 shipped, if possible. And I'm not picky, as long as it's clean with tags, I don't care which one it is. Thanks everyone and happy holidays! 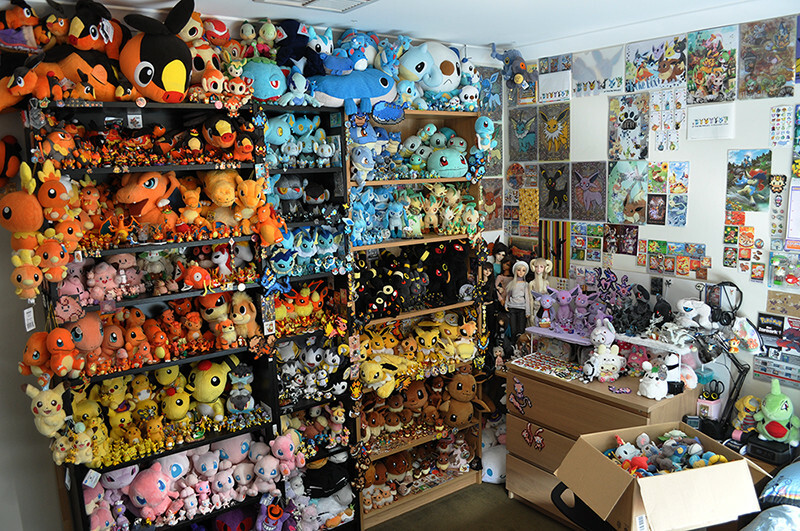 Do you guys have a desk or work area customized with a bunch of Pokemon Merchandise. I mostly have it covered with lots of random figures and plushies that I've bought randomly because they've caught my eye. 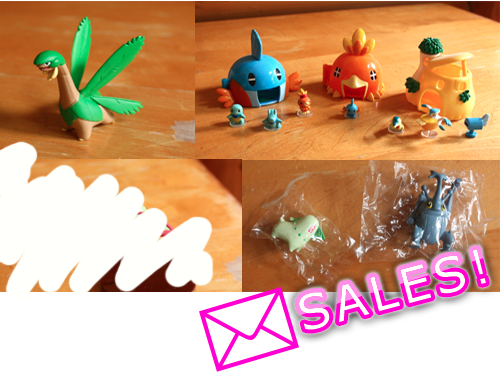 Thank you for watching, and if you have some other dewott things in sale, feel free to tell me :3 I might be interested! Hope collectors in the US had a wonderful holiday. I am waiting for things to wind down so I can be done with school. I decided to clear things out a bit. Not much, but you might see something you like. 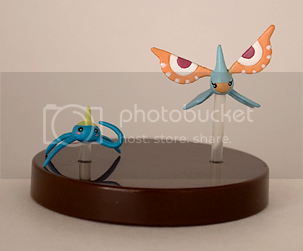 UPDATE: More Zukan have been added including Dustox, Masquerain, and Sunskirt Zukan pieces and a Gallade Zukan! All orders get free delivery confirmation within the US! This is also a reminder for my DIAMOND/PEARL 11 ZUKAN GA! We have about one more day to bid. Lots of Zukan sets are still very cheap (including Hippowdon still at $2), so do get your final bids in! If we raise a little more we can BIN the lot. 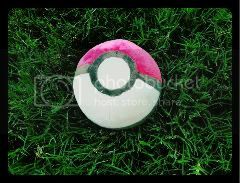 Hello Pokemon peeps, I'm back from posting a .gif website yesturday. 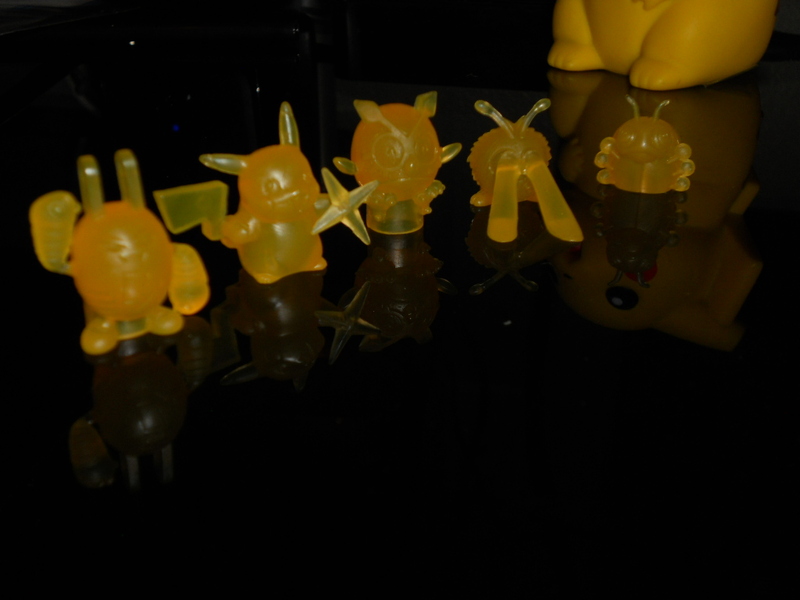 So I'm working on my Weebly, which is mostly done besides my Pikachu collection page. And I'm so excited about it I couldn't wait to post it so here it is! So if you see a plush you like or any figures (I'll actually sell figures since I'm not into figures all that much) just let me know! 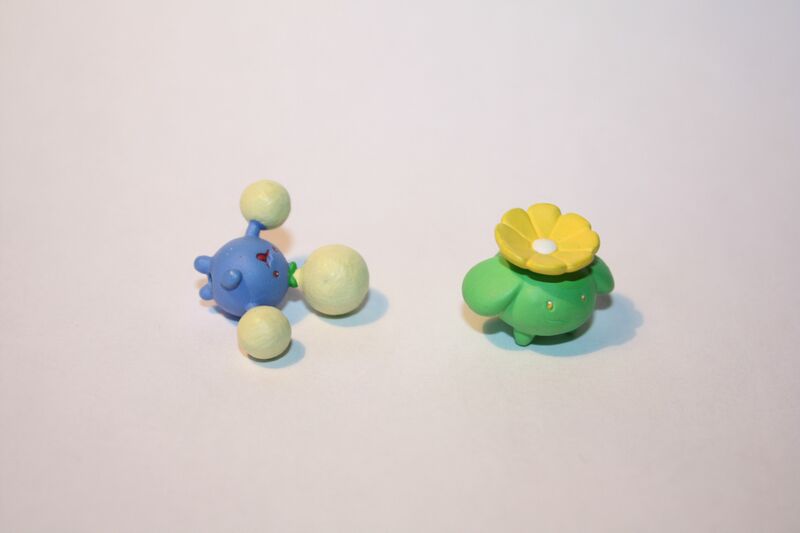 Selling new PokéCen merch! Including Eeveelutions! I dropped by the Centre today to get some goods, and I also picked up some stuff to share with you guys! Look below for Eeveelutions and other adorable items. - I ship from Saitama, Japan to anywhere in the world. - If you enquire about an item and do not respond to my reply within 2-3days, I will assume you're not interested and move on to the next person. - I AM A SLOW SHIPPER! Sorry, but I work full time, so it's difficult for me to get shipments organised and out quickly. However, I'm going to Ireland for Christmas, so I can guarantee you I will have shipped your item by December 12th. - No holds at the moment, sorry. 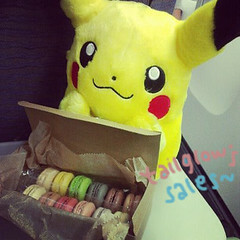 - Sales permission obtained from Denkimouse in August 2011. It's Sunday everyone! I hope you all had a good weekend. 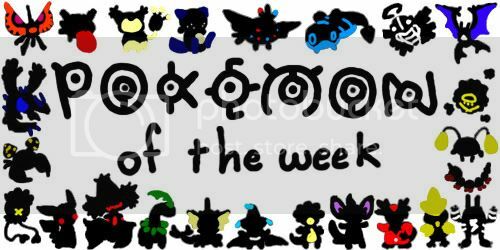 :) Let's see who this week's pokemon of the week will be! Cross your fingers for your favorite! The pokemon of the week is! I posted like twice and then... I got a whole bunch of gets in the mail over the last weeks! I wanted to make a SUPER HUGE post with ALL THE THINGS, but then I realized I had a thousand pictures and buh. And then I realized... I don't HAVE to post about everything in a single post. :'D GENIUS. I got a whole bunch of items in the mail over the last weeks, and I took pictures every time! I'm excited to show everything to you guys, especially after I've put up all my merch in my newly-organized room! 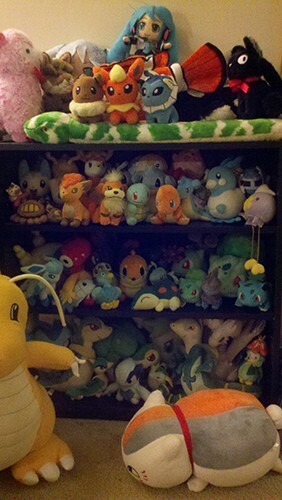 I moved furniture around and if I so desire, I could get some shelves and put them up for some extra Poke-merch displaying space. 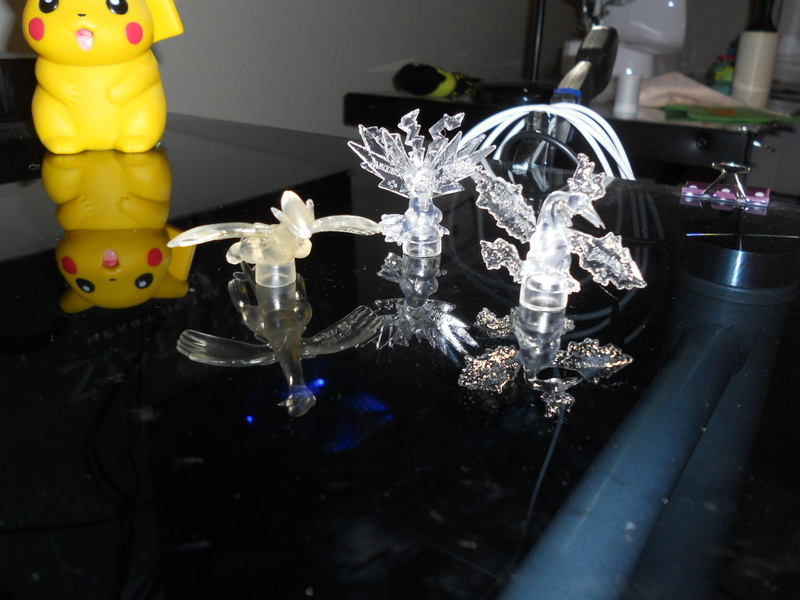 ;u; Oh my Gawd I have no idea how to display my Pokemon. 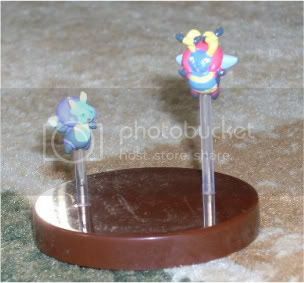 ;__; I want to display them so bad, but I dunno how exactly, lol. D': First World Poke Problems. Anyway that said. x'D I come asking for a few wants~ Particularly, I'd like some Victini items right now: charms, keychains, bottlecaps, figurines, etc! 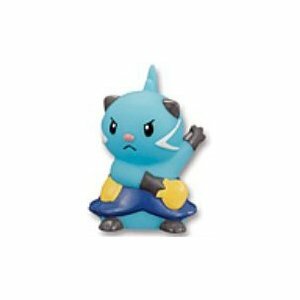 I'm surprisingly not looking for any plushies of it right now, except for the little miniature Pokedoll keychain (they did make one, right? I remember seeing one). So yes, anyone have anything? c: Just link me in the comments and I'll tell you if I'm interested (depending on prices/item in question/etc)! Thanks a lot guys. :'D I hope I can get a collection update soon and show you all my recent gets since joining! I came across this on ebay, a canvas Jhoto set. 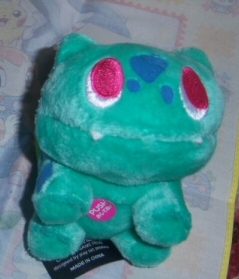 I was hoping to claim the Totodile, but I need others who want to claim the other two. Hep identifying figures real quick? 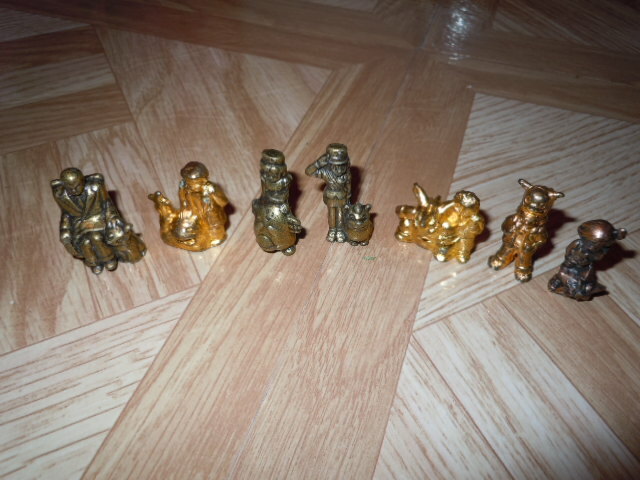 Can anyone tell me if these are real/what they are? There's a buyer here locally that has 48 different kinds of figures for only $10. Sorry about the bad picture quality, he's taking them with his phone. Amarok's November pickup -- payment/shipping post! Spent all day packing things and everything is ready to go! Payments are due for my pickup! Original post can be viewed here. 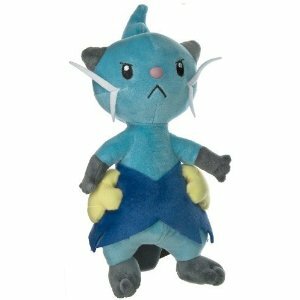 I am looking around for a Pokecen Espeon plush, and I have found several on ebay going for a low bidding price, with several bids. They are suspect, though, because all of them are from Hong Kong, use the same photo, and, well, their prices are so low. Found some nifty lots on YJ! I was so excited to get the Lugia >< The rest of these are for sale! All are brand new, come with original packaging/leaflet, and are super gorgeous! 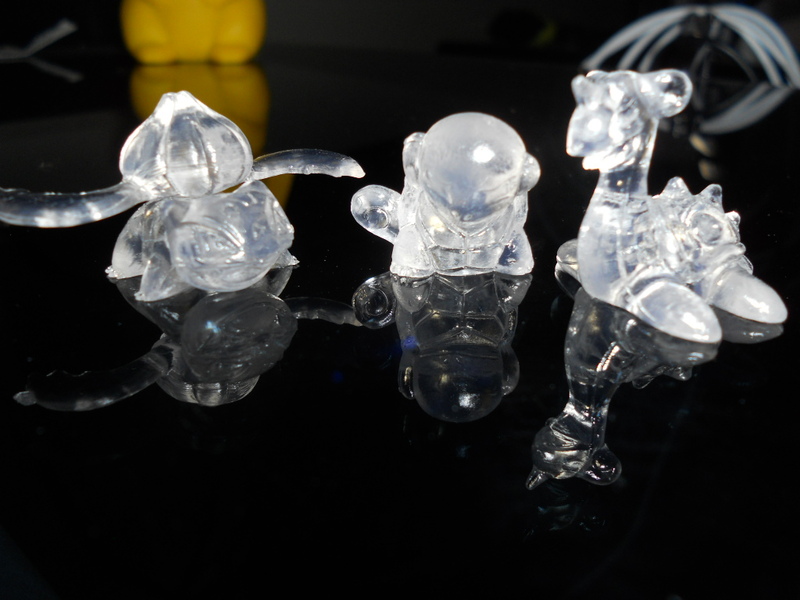 I especially love laser-eyes Venonant and grumpy Squirtle! Quick reintroduction: I primarily collect mushrooms. Why? They're fascinating. I went a little more into detail on the "why" aspect at my collection site (Fairy Ring), but it has not yet been updated with the images and descriptions I posted in this entry. That will happen by next weekend the latest. 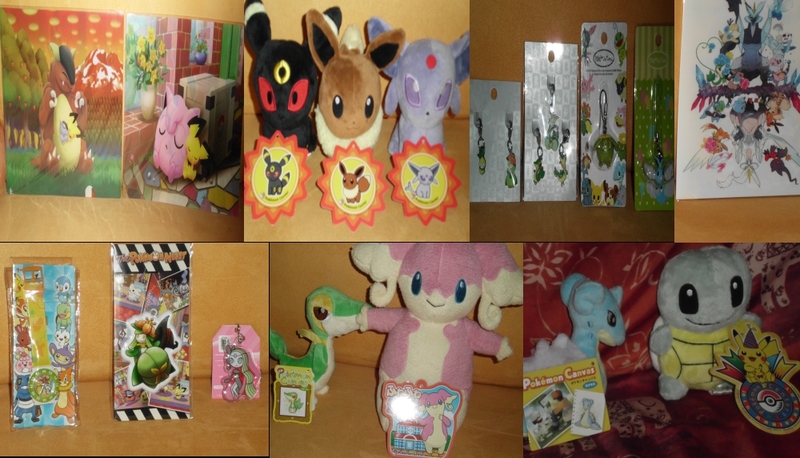 Lastly, my miscellaneous collections are as follows: Charms, where the brunt of my I'm-interested-in-this-pokemon-but-not-enough-to-start-a-collection items lie, Kids, which I collect randomly (much like charms), and finally, season- or promotion-specific Pikachu plush. 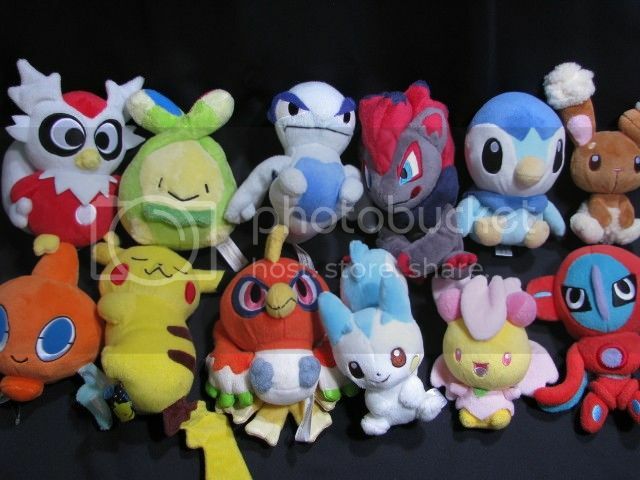 The remaining plush in my overall collection are just random guys I really happened to like and didn't have the heart to sell, even though they don't really fit in any of my main lines. One last thing! I have a few new items up for sale at my sales journal. Check it out if you have a moment. ^_^ Thanks again! Just doing some online christmas shopping and want to get a Reshiram figure or plush for my little brother. I'm thinking more towards a large figure though. I don't know too much about the Reshiram merch around so I thought I should ask you guys for suggestions. Any Reshiram collectors/fans, what do you think are good figures/plushies you can buy of Reshiram for a reasonable price? Thank you! (And sorry about how this is worded, I think I need sleep soon. Edit: I'm in the UK all I can find here in shops are the Reshiram kid figures, I think he'd like something bigger. 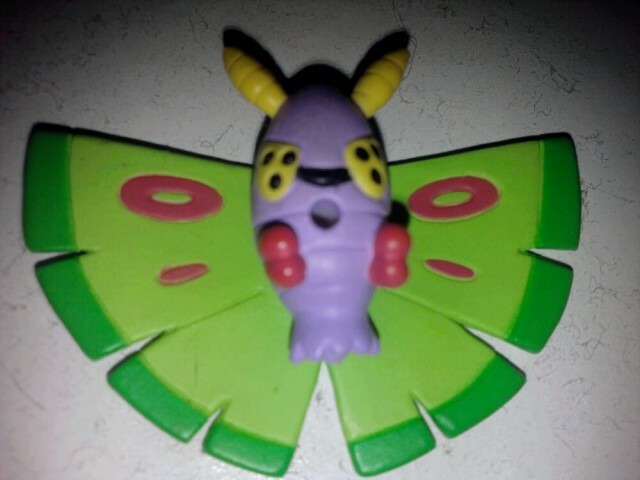 It'd be cool if there was a figure that could light up or something and you can move it around as he loves to play with his figures pretending to battle each other.